Explore the user guides and tutorial resources below to help you get started, or further expand your knowledge. A concise guide to Ramapo’s electronic services available to faculty. G Suite for education includes Gmail, Docs, Sheets, Slides, Forms, Drawings, Drive, Sites, Calendar, Maps, Hangouts and more. These Web-based applications are excellent collaboration tools. Google Training is also available on Linkedin Learning. Request access to Linkedin Learning through the Instructional Design Center when you are ready to begin training. For Instructors – Quick-start videos and guides. Please note that by using Turnitin Assignment within Moodle, you eliminate a lot of setup that is required if you use Turnitin outside of Moodle. Please contact the Instructional Design Center for more information. For Students – Quick-start videos and guides. Click the link above and select Qualtrics “Research Core”. 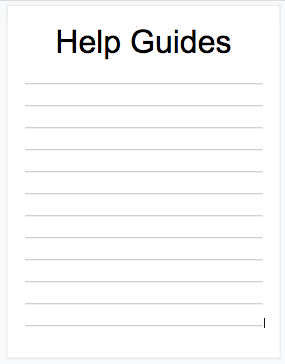 If you are already logged in, you can click on “Help” then “Qualtrics Support” to search Qualtrics the user guides. Step-by-step guides are organized under “Learn by Topic” or “Search”. Scroll down to view training and webinars. An interactive whiteboard (or “smartboard”) is a large interactive display that connects to a computer and projector. A projector projects the computer’s desktop onto the board’s surface where users control the computer using a pen, finger, stylus, or other deviceâ€”in this case, an infrared pen. Unlike other systems, this one is mobile and can be projected onto any surface. If you want smartboard capabilities in a classroom without a smartboard, follow Prof. Michael Bitz’s workshop handout to learn how to establish your own mobile Smartboard system with your laptop and a Wii remote. Discover mobile apps available for the technology we use at Ramapo, then download them from your device’s app store. The Ramapo “Banner” mobile app (Android and iOS) lets you search the Course Catalog, Schedule of Classes, Faculty/Staff directory and more. Ramapo College Library mobile app lets you search the catalog, renew books, e-mail/text/call a librarian and more all on your smartphone or iPad. Adobe Connect App (iOS, Android and Blackberry) – Host, share, collaborate and train from anywhere, anytime, with Adobe Connect Mobile. Android Apps include Gmail, Google Calendar, Google Drive, Google Docs, Google Sheets, Google Slides and more. 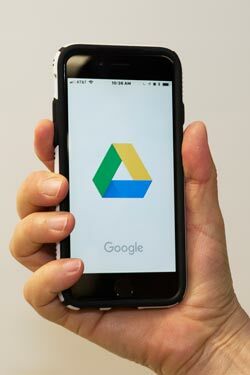 iOS Apps Include Gmail, Google Calendar, Google Drive, Google Docs, Google Sheets, Google Slides and more. Learn the most in-demand business, tech and creative skills with personalized recommendations and courses taught by industry experts. Stream or download courses for offline viewing. Limited licenses available only to faculty and staff. Account required for access. Download from your devices App Store. TechSmith Fuse App (iOS, Android, Windows) – Use Fuse to record using the front or back camera on your mobile device to capture on the go. Send recordings to your TechSmith Relay account. Turnitin App (for iPad) – Grade anywhere with Turnitin for iPad app.